dance.net - New Childs Aboyne (10247896) - Read article: Ballet, Jazz, Modern, Hip Hop, Tap, Irish, Disco, Twirling, Cheer: Photos, Chat, Games, Jobs, Events! I'm selling a brand new child size aboyne in a navy blue and jade green. 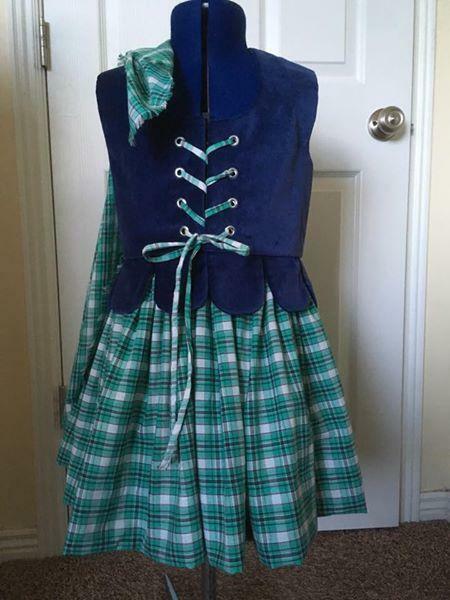 The skirt and plaid are cotton. Chest = 27, waist = 24, back length = 12 and the skirt length = 14" with a generous hem. The waist is adjustable by a few inches. It comes with a matching tie. Asking $150 usd plus shipping. Cross posted. I can accept Paypal or Venmo.